How can a balance be achieved among reputation, uninhibited discussion, and media power? Under what circumstance can the government seek to protect national security by enjoining the press rather than attempting the difficult task of convincing a jury that publication was a criminal offense? What rights can the press properly claim to protect confidential sources or to demand access to information otherwise barred to the public? And, as the media grow larger and larger, can the government attempt to limit their power by limiting their size? 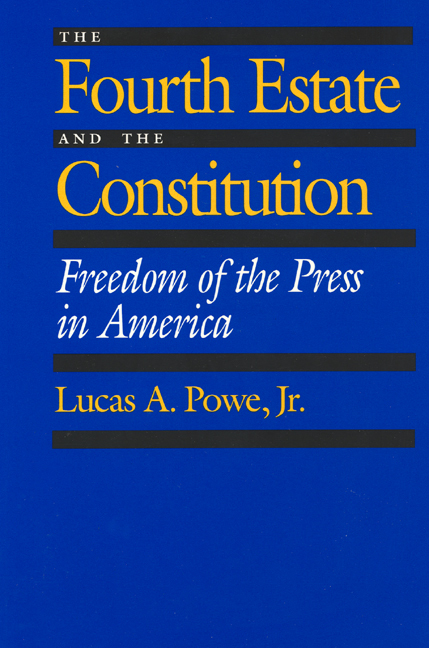 Writing for the concerned layperson and student of both journalism and jurisprudence, Powe synthesizes law, history, and theory to explain and justify full protection of the editorial choices of the press. 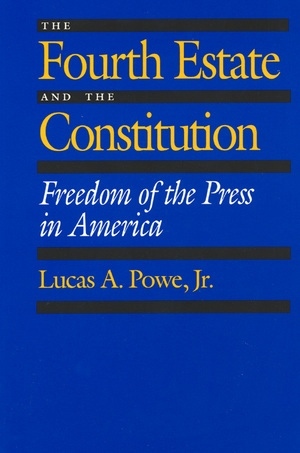 The Fourth Estate and the Constitution not only captures the sweep of history of Supreme Court decisions on the press, but also provides a timely restatement of the traditional view of freedom of the press at a time when liberty is increasingly called into question. Lucas A. Powe, Jr., holds the Anne Green Regents Chair at The University of Texas, where he teaches at the School of Law and the Department of Government.